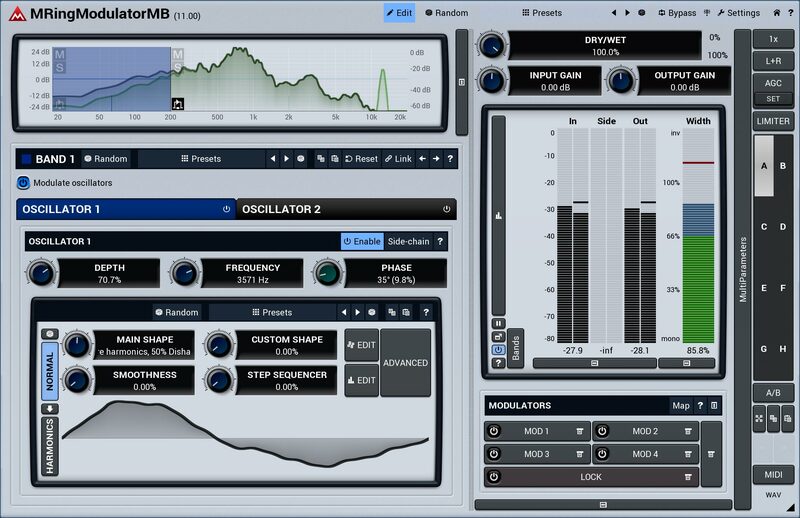 MRingModulatorMB is a powerful multiband ring-modulation effect using two oscillators with adjustable shape. 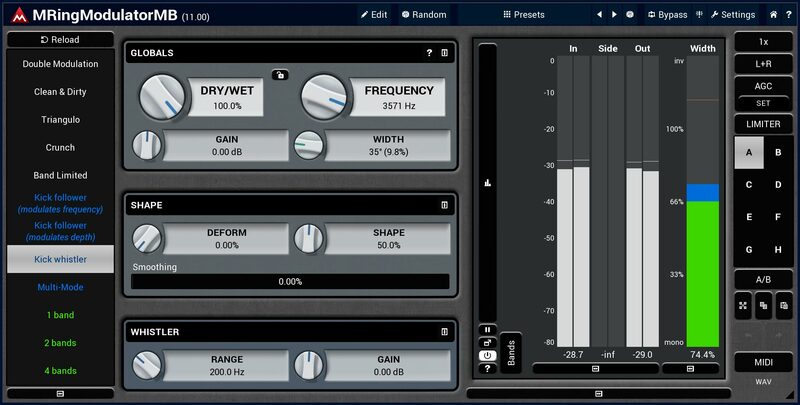 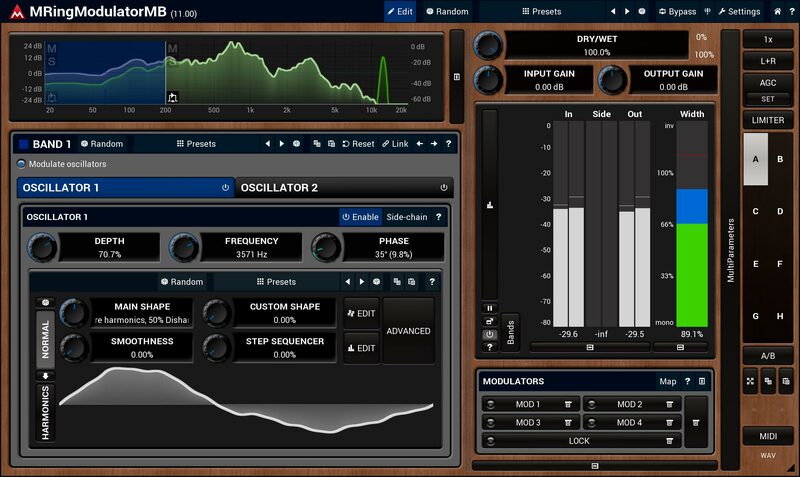 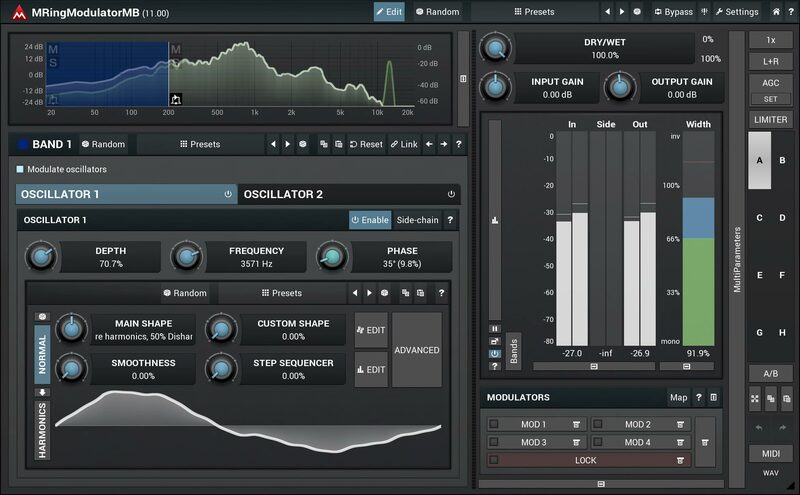 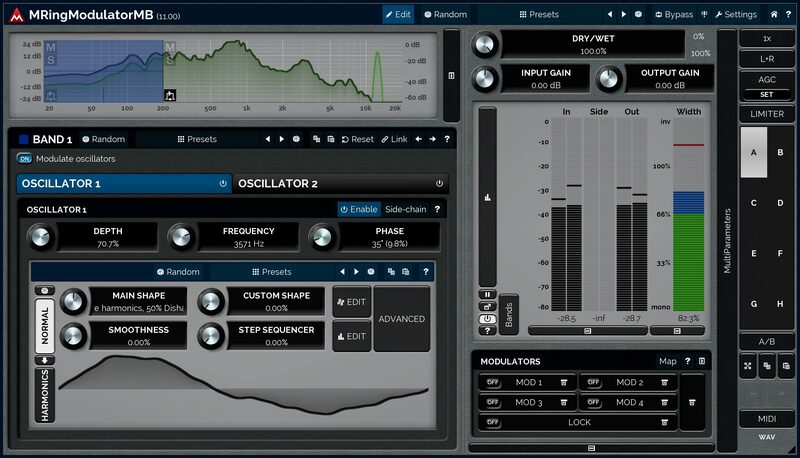 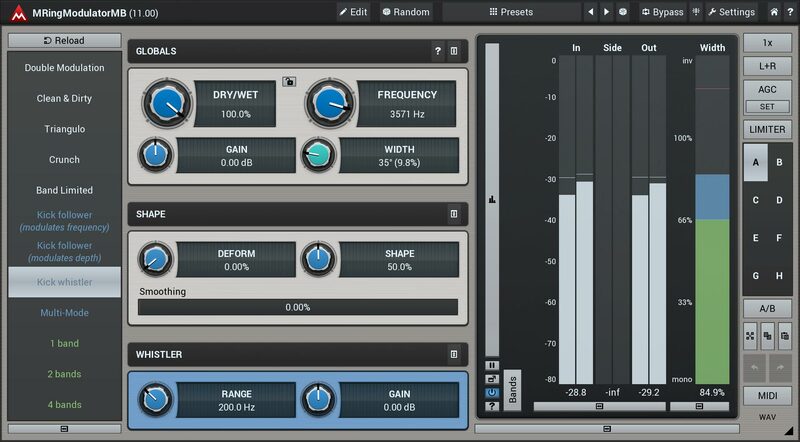 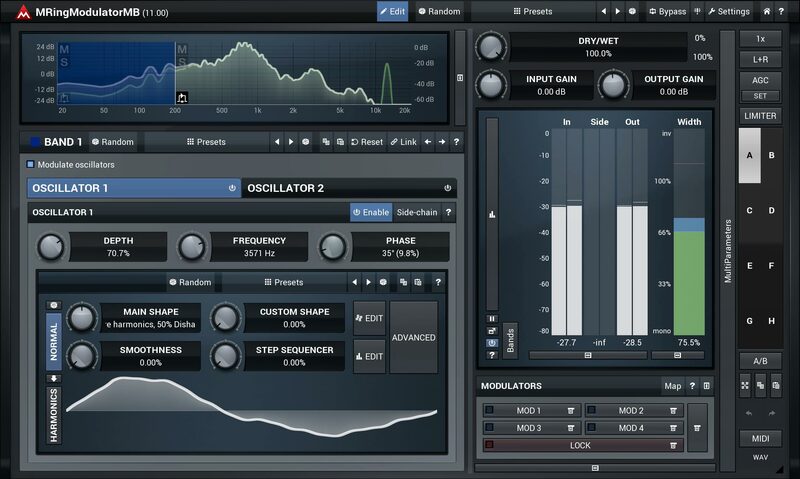 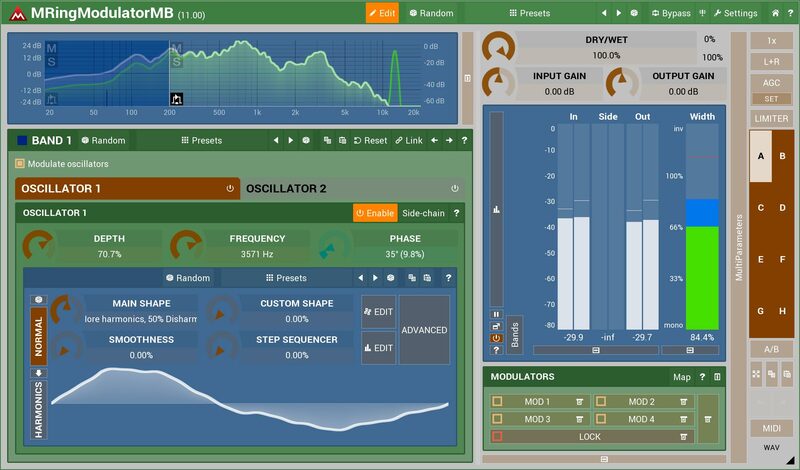 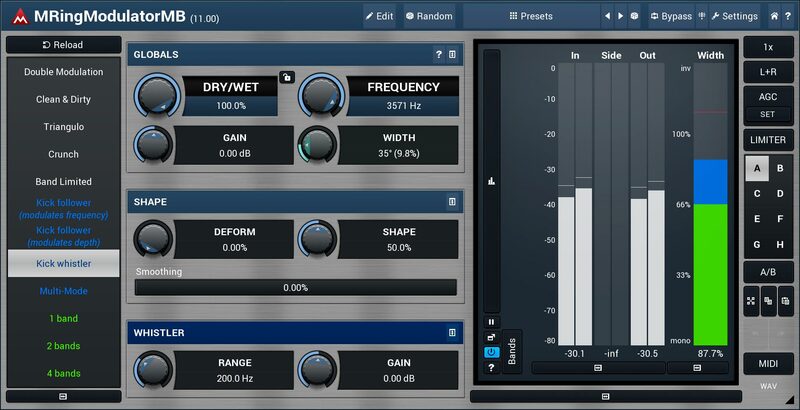 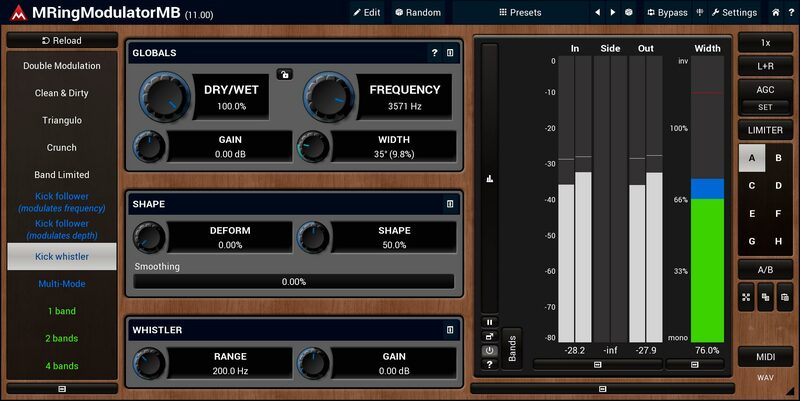 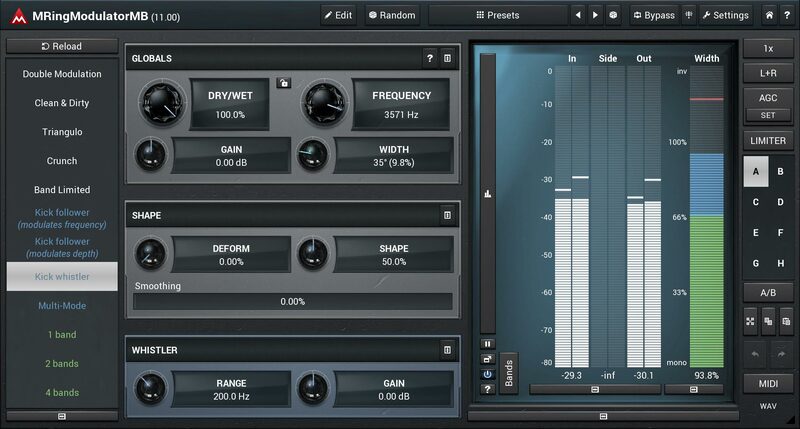 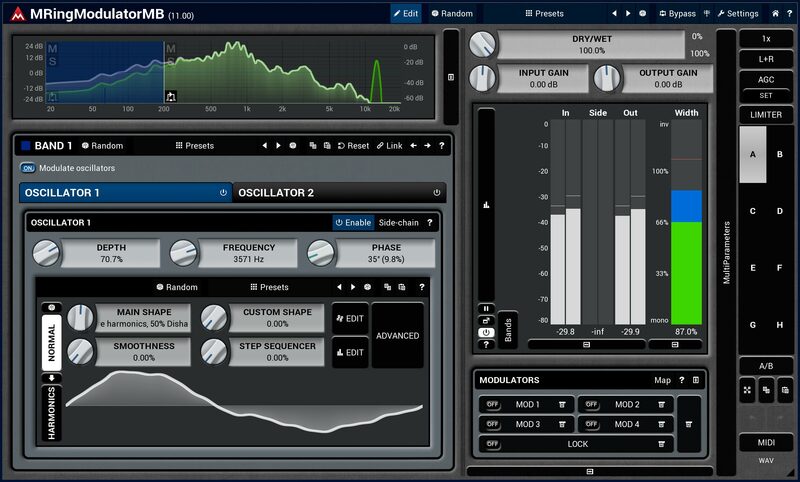 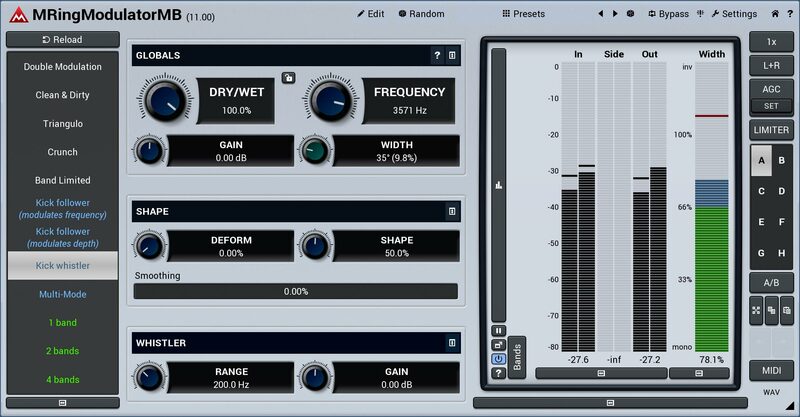 Continuously adjustable oscillator shape - every oscillator is defined by a mix of predefined oscillator shapes, envelope from the MeldaProduction Envelope System (MES), and a step-sequencer. 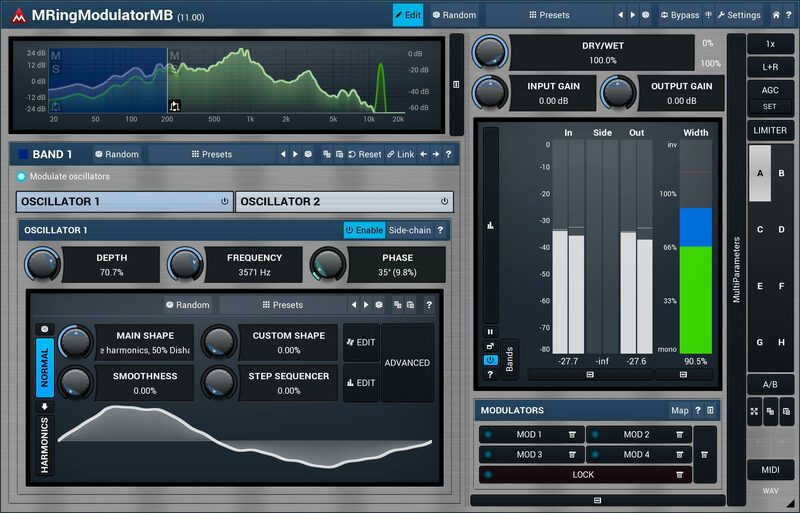 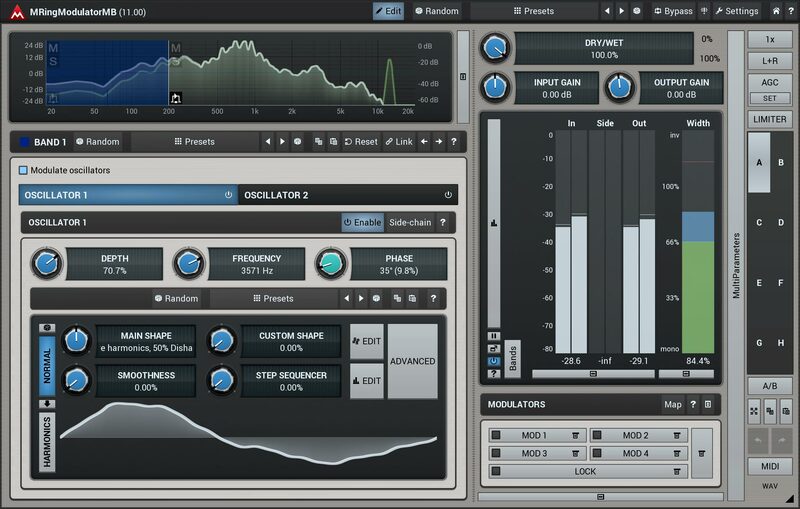 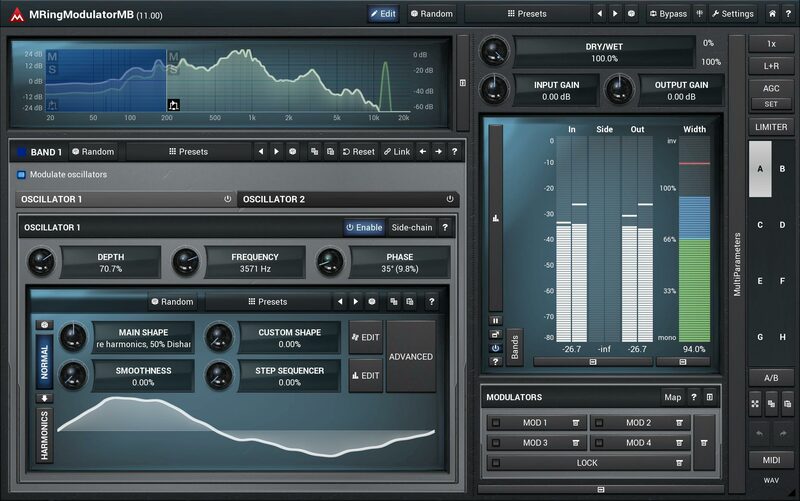 In MRingModulatorMB the two oscillators can also modulate each other to generate even more complicated shapes. 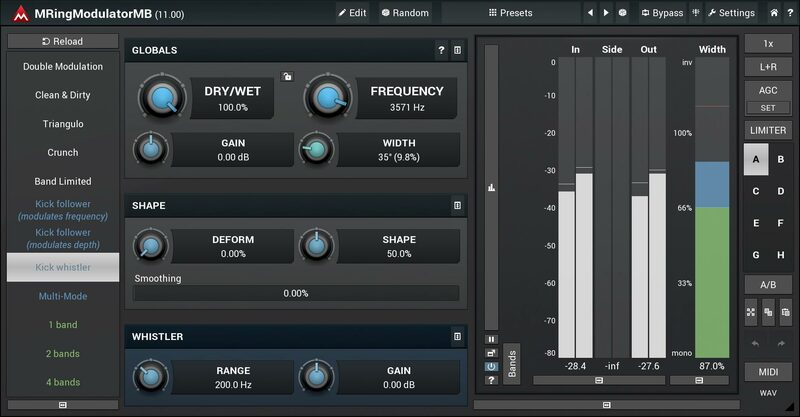 Adjustable phase difference useful to perform stereo-expansion.